ALBUQUERQUE, NEW MEXICO (ANS – May 2, 2016) — It took a rock star to introduce me to one of America’s greatest theological and pastoral minds. Irish rock musician, Bono (b. Paul David Hewson) is no stranger to our world. As the lead singer of the planets biggest rock band, U2, Bono has done it all. And I won’t get into the “all” during this article — most people know about his musical, humanitarian, and artistic achievements; it’s a litany too long to list. As a long-time U2 admirer , I’m well aware of Bono. 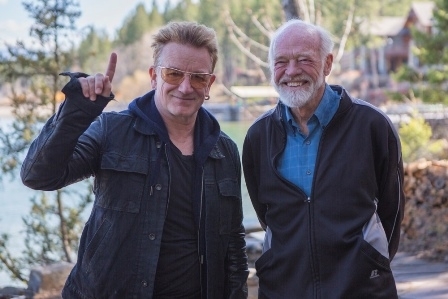 But prior to Bono’ endorsement, I knew little about the pastor, theologian, and writer, Eugene Peterson. I know, strange, particularly coming from an American who purportedly has theological and ministerial interests. But it’s true. Mr. Petersen didn’t float in my theological sphere until the late 1990’s, and, sadly, I’m less informed because of it, trying to catch up on lost time by reading as much as I can. What’s interesting is that while growing up in the 1980’s, my theological heroes were from Bono’s side of the pond: John Stott, NT Wright, C.S. Lewis and the like. I wasn’t even too sure that America had any thoughtful theological minds other than Vernard Eller (who was part of the denomination I was involved). I know this sound stuffy, but, too me, the British Isles is where the “thinkers” lay; those men and women who were able to integrate Biblical truth, theology, art, poetry, literature, and science in a harmonious whole that brought together the true, beautiful, and good. Yes, I was aware of Francis Schaffer. But he was an American living in Europe. And I was also aware of our marvelous past: Jonathan Edwards and Niebuhr, among others. But these guys were too distant for me at the time. I tried my hand at John Yoder and Arthur Gish (both Anabaptist), but they lacked the literary and artistic side that I so desired. Then Bono told me — and the world — about a pastor from Montana in the 1990’s. At first I thought, interesting. But then I began to read Peterson, and not just his hugely popular, The Message; and what I read began to sink in. This man was in pursuit of God; he wasn’t seeking power, prestige, or yearned for a “brand” — some of the marks of our modern church movement. Peterson didn’t seem interested in making a name for himself, but honoring the name of Christ. And this appealed to me. As I looked around at the church culture, the three P’s were everywhere: personality, power, and prosperity (either personal or ecclesiastical). But it seemed Peterson’s three “P’s” were different: prayer, proclamation of Christ, and the poetry of God—Biblical study and reflection. And these resonate with me to this day. How I missed Peterson, I’m not sure; but I’m glad an Irish rock star told me about him. So when Fuller Theological Seminary created a video with the Bono and Peterson, it was like a coming together of two creative men — from two different worlds — in a meeting for one cause: Christ, and in the case of the video, the Psalms. It’s an insightful and honest interview. Conducted by David Taylor, the interview takes place at Peterson’s home in Montana. And what’s striking in the interview is not so much as what was said — but how it was said: like a father and son discussing something near and dear to them; which it is. 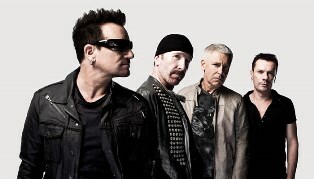 Photo captions: 1) U2. 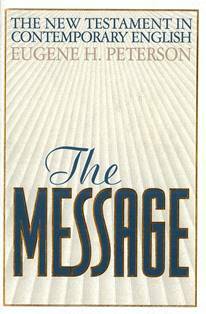 2) The Message by Eugene Peterson. 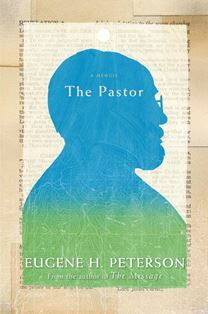 3) The Pastor by Eugene Peterson. 4) Brian Nixon. About the writer: Brian Nixon is a writer, musician, and minister. He’s a graduate of California State University, Stanislaus (BA) and is a Fellow at Oxford Graduate School (D.Phil.). To learn more, click here: http://en.wikipedia.org/wiki/Brian_Nixon. Heart attack victim raised from the dead! Does God make sense of our messes?